21/08/15 -- Soycomplex: Beans closed lower on the day and for the week. Sentiment over the Chinese economy is weighing on the entire complex, despite the news that the country imported a record large 9.5 MMT of soybeans in July. Over 90% of those imports came from Brazil and Argentina though. The Chinese hog herd has decreased 20% over the last 2 years, said Rabobank. Thanks to modernisation in livestock and aquaculture methods though demand for soybeans/meal will remain strong though, they added. The Argentine Ag Ministry estimated their 2014/15 soybean crop at a record 61.4 MMTs versus previous estimate of 60.8 MMT. US 2015 soybean yields will average 45.4 bu/acre, a Bloomberg survey of 13 ProFarmer crop tour scouts showed. That's more than 3% below the USDA estimate of 46.9 bu/acre. John Deere estimate yields at 46.7 bu/acre and forecast average prices of $9.20/bu for the 2015/16 marketing year. Rabobank see prices bottoming at $9.40/bu in Q4 this year. ProFarmer estimated the US soybean crop at 3.887 billion bushels versus the USDA's 3.916 billion. That figure is on the basis that the USDA’s August harvested acreage estimate is accurate. A Bloomberg survey of 11 scouts on the tour came up with an average production estimate of 3.757 billion bushels. Rabobank estimated Brazil's soybean plantings for next season to rise 2-3%, aided by the weak Brazilian real. The weekly commitment of traders report shows managed money cutting almost 40k contracts off their net long position in the week through to Tuesday night. StatsCanada said that canola production there will fall to 13.3 MMT, down almost 15% from 15.6 MMT a year ago, and below the average analyst forecast of 13.7 MMT. Sep 15 Soybeans closed at $9.05 1/4, down 16 1/4 cents; Nov 15 Soybeans closed at $8.89 1/2, down 17 3/4 cents; Sep 15 Soybean Meal closed at $326.90, down $4.00; Sep 15 Soybean Oil closed at 27.36, down 62 points. For the week beans were 19 3/4 cents lower, with meal down $4.00 and oil down 142 points on a front month basis. Corn: The corn market closed around 5 cents lower on the day, but still with small gains for the week. ProFarmer estimated the US 2015 corn crop at 13.323 billion bushels on a yield of 164.3 bu/acre. The USDA are at 13.686 billion bushels and 168.8 bu/acre. Corn yields will average 164.5 bu/acre, according to a Bloomberg poll of 17 participants on the tour. A similar survey estimated production at 13.391 billion bushels. Rabobank are at 165 bu/acre. Confidence is therefore rising that the USDA numbers on corn are too high. John Deere are right up there though with an estimate of 168.5 bu/acre. China reported July corn imports of 1.1 MMT, taking Jan/Jul imports to 3.76 MMT. DDGs imports were a record 1.1 MMT last month. Russia forecast their 2015 corn crop at a record 13 MMT. StatsCanada estimated their corn crop at 12.3 MMT. French corn crop conditions were left unchanged this week at 55% good to very good. They were 87% good to very good a year ago. 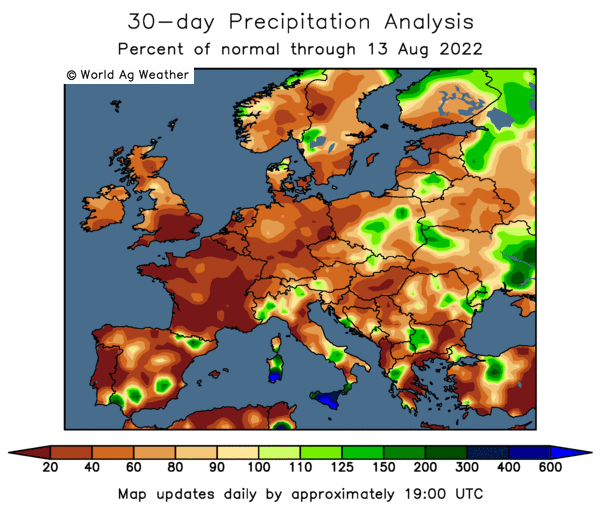 Corn in Europe is being affected by excessive heat, said Rabobank. They cut their production estimate to 60 MMT versus the USDA's 62.3 MMT forecast. The EU will be forced to import a near record 16 MMT of corn in 2015/16, they said. A lot of that will come from Brazil and Ukraine, aided by their weak domestic currencies, they added. They see US corn prices at $3.80/bushel in the final quarter of this year, rising to $3.90, $4.00 and $4.10 in the first three quarters of 2016. "Midwest temperatures are predicted to drop 5-7 F below normal in the upcoming week. If there is a worry in Midwest corn, it would be reduced heat units from cooler temperatures that would slow down maturation. Worry number two is that June flooding caused irreversible damage to the corn yield in Missouri, Illinois, Indiana and Ohio," said Martell Crop Projections. "For now, it’s all about caution. Money managers are fleeing the commodity and equity sectors for the relative safety of government bonds," said Arlan Suderman of Water Street Solutions. The weekly commitment of traders report shows managed money reducing their net long position by 27,492 contracts for the week through to Tuesday night. Sep 15 Corn closed at $3.65 1/4, down 5 3/4 cents; Dec 15 Corn closed at $3.77 1/4, down 5 1/4 cents. For the week Sep 15 corn was up 1 1/4 cents and Dec 15 was 1 3/4 cents higher. 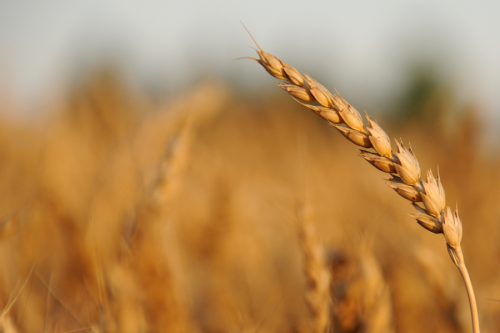 Wheat: The wheat market finished lower on the day and for the week across the three exchanges. Wheat also succumbed to the general global economic malaise. Production estimates in Europe and the Black Sea are increasing. France is said to be "maxed out" with wheat as various silos in both Rouen and Dunkirk announce that they are closed for intake until exports pick up. Russia's Ag Ministry estimated their wheat crop at 59.6 MMT this year. Rabobank raised their forecast 2 MMT to 59 MMT due to improved conditions in the spring wheat belt. Black Sea wheat exports in 2015/16 will beat last season by 3 MMT at 42 MMT, they predict. EU exports will drop to 31 MMT, they add. Rabobank now have the EU 2015 wheat crop at 151 MMT, which is 3 MMT higher than a month ago. It is also 3.2 MMT above the current USDA forecast. Production in Argentina and Canada is shrinking though. Some 600,000 hectares of Argentine wheat, equivalent to almost 20% of plantings nationwide, are at risk of being lost by flooding in the centre and north of the provinces of Buenos Aires and southern Santa Fe, according to a report in the country's La Nacion newspaper. Meanwhile StatsCanada today estimated this year's wheat crop at 24.6 MMT, down 16% from 29.3 million in 2014. It's also well below the average trade estimate of 26.2 MMT. John Deere estimated the 2015 US wheat yield to rise to 44.1 bu/acre, up from 43.7 bu/acre a year ago. They reduced their price forecast for 2015/16 to $5.05/bu from a previous estimate of $5.10/bu. Rabobank see prices a little higher, at $5.20 in Q4 of this year and $5.30 and $5.40 in Q1 and Q2 of 2016. Russia said that it's 2015 grain harvest was 47.4% complete producing a crop of 62.7 MMT to date. That includes 44.7 MMT of wheat off 52.5% of the planned area. Average wheat yields are down 8.6% at 3.1 MT/ha. Tonight's commitment of traders report shows that managed money has a small 3,537 net contract short in Chicago wheat and one of 6,978 contracts in Kansas as of Tuesday night. Sep 15 CBOT Wheat closed at $4.99 1/2, down 6 3/4 cents; Sep 15 KCBT Wheat closed at $4.71, down 10 1/4 cents; Sep 15 MGEX Wheat closed at $5.02, down 11 cents. For the week that puts Chicago wheat 6 1/2 cents lower, with the Kansas market down 18 3/4 cents and Minneapolis 16 1/2 cents easier. 21/08/15 -- EU grains closed lower on the day and lower for the week. Outside influences like tumbling crude oil prices and concerns about the Chinese economy are adding burden to a market that was already under harvest pressure. At the close, Nov 15 London wheat was down GBP1.00/tonne to GBP114.75/tonne, Sep 15 Paris wheat was EUR2.25/tonne easier at EUR166.25/tonne, Nov 15 Paris corn was down EUR1.75/tonne to EUR174.25/tonne, whilst Nov 15 Paris rapeseed was EUR6.75/tonne lower at EUR357.50/tonne. For the week that puts London wheat GBP3.10/tonne easier, with the French wheat market down GBP9.75/tonne, corn EUR4.50/tonne weaker and with rapeseed losing EUR13.75/tonne. Whilst wheat is under pressure from what is turning out to be a better, and bigger, harvest than the market expected a few months ago, it is interesting to see that neither corn or rapeseed are able to buck the trend despite the fact that production in Europe of both is seen significantly lower this year. 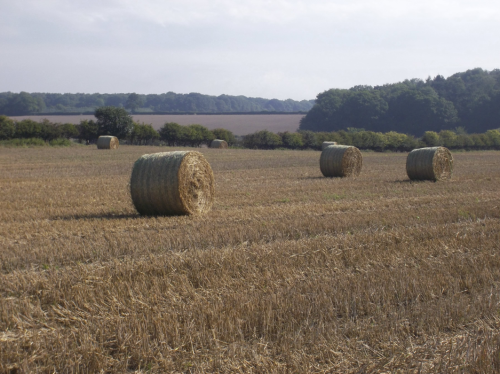 The HGCA said that as of 18 August, "almost 50% of the UK combinable crop area had been harvested, with particularly large areas of winter wheat and spring barley harvested, especially in the south." They estimated the UK winter wheat harvest at 40% complete nationally, with the Eastern region leading the way at around 70% done. The estimated average yield to date is good at 8.3-8.6 MT/ha, well above the 10-year average of 7.7 MT/ha. Based on their planted area estimate of 1.87 million ha that puts the UK crop potentially at around 15.5-16.0 MT/ha this year, down from 16.6 MMT a year ago. 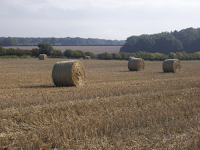 The 2015 UK winter barley harvest is just about wrapped up at 98% complete. Average yields are also well above the 10-year average of 6.5 MT/ha at 7.2-7.6 MT/ha. Spring barley harvesting is estimated at 20% complete, with yields averaging 5.9-6.2 MT/ha, nicely above the 10-year average of 5.4 MT/ha. Using previous HGCA planting estimates that would give us a total UK barley crop of between 7.25-7.64 MT/ha this year, up from 6.9 MMT in 2014. The winter rapeseed harvest is now seen at 90% complete, with yields averaging 3.6-3.8 MT/ha versus 3.5 MT/ha for the 10-year average. That points to a final crop this year of 2.26-2.38 MMT, which would be similar to last year. FranceAgriMer said that the French wheat harvest is 100% complete. The spring barley harvest is also finished. For once they didn't cut corn crop ratings this week, leaving those at 55% good to very good, which is still down sharply on 87% this time a year ago. French silo operators are queueing up to hang up the "full" signs, with Nord Cereales in Dunkirk yesterday, joining Senalia and Socomac in Rouen, in saying that there was "no room at the inn". 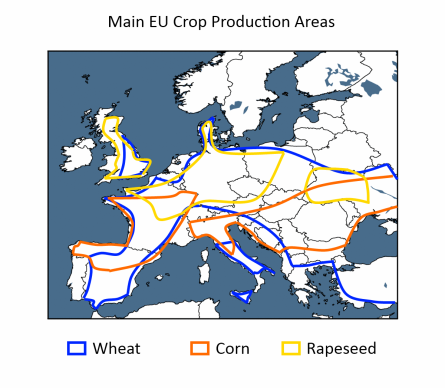 Rabobank said that both the EU and Black Sea wheat crops are bigger than previously expected. They added 3 MMT to their previous forecast for the EU crop, taking that up to 151 MMT which is now considerably higher than the USDA's 147.8 MMT estimate. They see Russia at 59 MMT, up 2 MMT on last month. The Russian Ag Ministry today forecast grain production there this year at 102.9 MMT, down just 2.3% on a year ago. That includes 59.8 MMT of wheat, 17.4 MMT of barley and 13 MMT of corn (a new record). Rabobank said that 2015/16 Black Sea wheat exports would beat last year's total by 3 MMT at 43 MMT. "The region will be the key determinant for global FOB prices," they added. They forecast Paris wheat prices rising modestly to EUR185/tonne in the final quarter of the year and holding there in Q1 and Q2 of 2016. London wheat has come out of the week a bit better than it's Parisian counterpart, partly due to a suddenly resurgent euro. Sterling closed the week below 1.38 against the single currency, for a weekly drop of 2.2%. The euro has also gained ground on the US dollar this week following the release if the minutes of the July Fed meeting on Wednesday. “Most judged that the conditions for policy firming had not yet been achieved, but they noted that conditions were approaching that point,” they said. The market reads that as a clue that the anticipated September US interest rate rise might have been put back a little. As the BoE are traditionally behind the Fed on moving rates, a US delay could also mean a UK delay in starting to edge rates higher. That's the sentiment anyway. Unless the pound bounces back up above the 1.38 level against the euro on Monday, then a test of support at 1.36 could be next on the cards. Chicago Grains Bounce, But Will It Last? 20/08/15 -- Soycomplex: Beans closed with decent gains, rebounding nicely from yesterday's lows. Weekly export sales came in at 46,400 MT for the soon to end 2014/15 marketing year and 784,400 MT for 2015/16. The latter being primarily for China (426,000 MT) and unknown destinations (167,800 MT). It was comforting for the market to see China taking a decent slug of new crop, even if there were old crop cancellations from unknown destinations (89,700 MT) and China (66,000 MT). Actual shipments of 401,100 MT were up noticeably from the previous week, being 93 percent above the prior 4-week average and the highest since early April. Preliminary findings from the final day of the ProFarmer crop tour in Eastern Iowa put pod counts at 1,235.11 for each sampling of a 3 foot square plot, up from 1,173.59 a year earlier. In Minnesota soybean pod counts were seen at 1,301, up from 1,031.5 in same region a year earlier. Final yield estimates will be released tomorrow after the close. The regular weekly survey into trader/analyst sentiment on beans found the trade the most bearish in 12 weeks, with only 3 bulls, 14 bears and 3 neutral. MDA CropCast estimated the 2015 US soybean crop unchanged from a week ago at 3.754 billion bushels versus the USDA's 3.916 billion. Rabobank estimated US 2015 soybean yields at 45 bu/acre, up from previously but still below the USDA's 46.9 bu/acre forecast. They forecast bean prices at $9.50/bu in Q3 of this year and $9.40/bu in Q4; down from their previous estimates of $9.90 and $9.60, respectively. It is however better than where the market closed tonight. Sep 15 Soybeans closed at $9.21 1/2, up 18 cents; Nov 15 Soybeans closed at $9.07 1/4, up 13 3/4 cents; Sep 15 Soybean Meal closed at $330.90, up $6.90; Sep 15 Soybean Oil closed at 27.98, up 9 pips. Corn: The market closed around 3-4 cents higher. Weekly export sales of 282,700 MT for delivery in 2014/15 were up noticeably from previous week and 84 percent above the prior 4-week average. There were also sales of 576,400 MT on the new crop. Actual shipments of 918,100 MT were up 9 percent from the previous week, but down 10 percent from the prior 4-week average. In Eastern Iowa, the ProFarmer tour found corn yields averaging 168.34 bu/acre versus 178.75 bu/acre a year ago, although the year ago figure included both eastern and western growing regions of the state. The USDA estimated last week that Iowa corn yields will rise 2.8% to 183 bu/acre from 178 last year. In Minnesota, where this year's corn crop is widely regarded as looking the best in the country, they found corn yields estimated at 200 bu/acre, up sharply from 170.8 bu/acre a year earlier, and higher than the USDA's current 184 bu/acre forecast. MDA CropCast estimated the 2015 US corn crop at 13.566 billion bushels versus the USDA's 13.868 billion, and down 11 million on a week ago. They cut almost 1 MMT off their global production estimate, principally due to reduced expectations in Europe and the FSU. Rabobank estimated EU corn production down to 60 MMT, below the USDA's forecast of 62.3 MMT because of excessive heat. They see US corn yields at 165 bu/acre, up 2 bu/acre from their previous estimate, but still below the USDA's 168.8 billion. They forecast US corn prices at $3.75/bu in Q3 of this year and $3.80/bu in Q4, which is in line with where the market currently sits. The Bloomberg survey into trader sentiment was much more evenly split on corn than it was for beans, finding 8 bulls, 6 bears and 7 neutrals. High levels of variability in US yield potential this year is likely to keep the market guessing for a while yet. More bad news out of China, and weak crude oil prices cap gains. Sep 15 Corn closed at $3.71, up 3 3/4 cents; Dec 15 Corn closed at $3.82 1/2, up 4 cents. Wheat: The market closed around 5-10 cents higher across the 3 exchanges in what I guess you could call a corrective bounce. Weekly export sales of 314,400 MT for delivery in the 2015/16 marketing year were down 25 percent from the previous week and 49 percent below the prior 4-week average. Total marketing year sales are down 15% from the previous year. Actual shipments of 606,200 MT were a marketing-year high though. Even so, accumulated exports are lagging behind the pace of this time last year by 21%. MDA CropCast added 600 TMT to their world wheat production estimate, largely due to improved expectations for Europe. Brussels confirmed that they'd issued 563 TMT worth of soft wheat export licences this past week, taking the cumulative total for the season so far to 2.87 MMT. That's 13% ahead of where things were this time a year ago. Final exports then went on to be record large, and shipments this season are expected to be 12% lower than they were in 2014/15, according to the latest USDA estimates. Early season EU barley exports are stellar at 2.23 MMT versus only 1.21 MMT this time a year ago. Rabobank estimated wheat production in Russia at 59 MMT, and at 24.5 MMT in Ukraine. SovEcon forecast Russia's August grain exports at 3.2 MMT, down sharply from 4.7 MMT a year previously. Macquarie said that the Black Sea region had the potential to increase wheat production by around 50% between now and 2030, along with "strong potential" to increase corn output too. The rises could come from increased plantings and improved yields, they said. A shift to more modern farming techniques and significant investment and improvements to the existing infrastructure in the region will be needed however. The Russian rouble hit fresh all-time lows against both the US dollar and the euro today as crude oil plumbs to new lows. The Russian government unsurprisingly didn't kick off it's new intervention purchasing program with a long queue of willing sellers as the prices on offer are miserly in rouble terms. On wheat, Bloomberg found 5 bulls, 10 bears and 6 neutrals. Sep 15 CBOT Wheat closed at $5.06 1/4, up 10 cents; Sep 15 KCBT Wheat closed at $4.81 1/4, up 7 cents; Sep 15 MGEX Wheat closed at $5.13, up 4 3/4 cents. 20/08/15 -- EU grains traded mixed for most of the day, but recovered to finish generally higher in afternoon trade. Front month Sep 15 Paris wheat was under pressure, down EUR3.25/tonne yesterday (as opposed to the benchmark Dec 15 contract which was only down EUR1.50/tonne), it shed as much as another EUR4.50/tonne today marking a 4.6% loss in two days. The gap between it and Dec 15 is now almost EUR10/tonne. That can probably be attributed to harvest pressure following record production this year, combined with the fact that both the delivery points in Rouen against the contract aren't actually open for the intake of wheat as they are already full. Bloomberg reported today that the Nord Cereales facility in Dunkirk is also full. That highlights the short-comings of the Paris wheat contract once again. Agritel report 11% protein milling wheat delivered to Rouen is only making around EUR160/tonne. That's only 3 euros more than feed barley, and the equivalent of around the same price as Nov 15 London feed wheat. At the close, Nov 15 London wheat was GBP1.30/tonne firmer at GBP115.75/tonne. Sep 15 Paris wheat was EUR1.50/tonne lower at EUR169.50/tonne, although Dec 15 ended EUR0.75/tonne higher at EUR178.75/tonne. Nov 15 Paris corn closed up EUR0.75/tonne to EUR174.25/tonne and Nov 15 rapeseed was up EUR1.50/tonne at EUR364.25/tonne. The Russian rouble has hit new lows against both the US dollar and euro this morning, which will further increase the tax that their exporters have to pay to ship out wheat. It also won't encourage local producers to sell their grain to the government's newly re-opened intervention fund either. Whilst Russia's grain exports struggle, Ukraine's do not. Their Ag Ministry estimate total grain exports this season at over 36 MMT, which would beat the 2014/15 record of 34.8 MMT. They see production at 60 MMT, carry-in from last season at around 10 MMT and domestic usage at 24-25 MMT. The early grain harvest is over, but the corn crop is still out in the field and some reports suggest that it's struggling and won't make anything like the USDA's projected 27 MMT this year. MDA CropCast cut their forecast for the Ukraine corn crop to 23 MMT today, down 19% on a year ago. 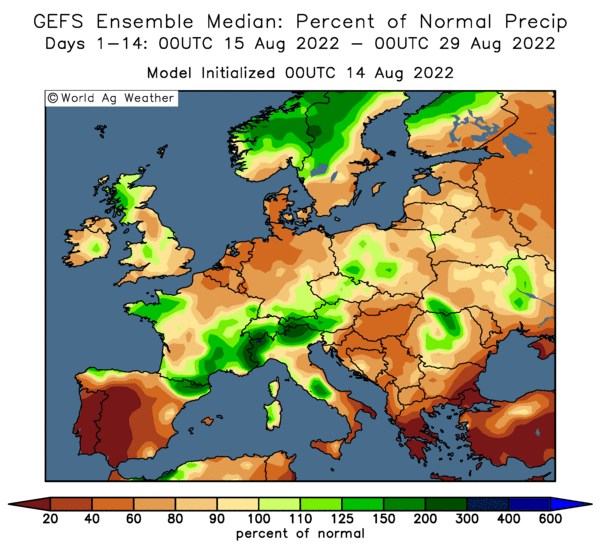 "Dryness continues to rebuild across Ukraine, especially central and western areas, as well as North Caucasus, Belarus and southern Central Region," they said. There's some talk that this could also have an adverse affect on sowings for the 2016 harvest - particularly of early-planted winter rapeseed. "Ukraine rapeseed production could fall for the fourth consecutive year in 2016 due to problems with planting. Throughout July and August, soil moisture levels have been insufficient for sowing rapeseed as a result of prolonged periods of dry weather. Consequently, this has delayed drilling and could mean that the short optimal planting window (August 10-25) may be missed," the HGCA said this week. MDA CropCast also trimmed their outlook on Europe's corn crop a little and now see that at only 56.3 MMT, a 17% fall compared with last year. Late in the day it was confirmed that Brussels issued 563 TMT worth of soft wheat export licences this past week (up from 349 TMT last week), taking the cumulative season-to-date total to 2.87 MMT, up 13% on this time a year ago. Barley export licences this week were 273 TMT, up from 161 TMT a week ago. These now total a very impressive 2.23 MMT for the campaign so far, an increase of 84% on this time last year. 19/08/15 -- Soycomplex: Beans closed lower, with September trading below $9/bushel at one stage, that hasn't happened on a front month since 2009. Nov 15 closed below that level for the first time in the contract's history. Outside influences like the state of China's economy and continued weakness in crude oil weighed today. Argentina estimated farmer selling on 2014/15 soybeans at 62% versus 54% a year ago. Day 3 of the ProFarmer Crop Tour in Western Iowa found soybean pod-counts of 1,282 in a 3-ft by 3-ft plot, up from 1,173.6 a year earlier, report Bloomberg. In Illinois they found pod-counts of 1,191.22 versus 1,299.17 a year ago. The tour ends tomorrow and final yield estimates are due Friday. Dr Cordonnier estimated US soybean yields at 44.0 bu/acre, up from 43.5 bu/acre previously, but still well below the USDA's 46.9 bu/acre. "Fundamentally, we continue to point to variability in the crop combined with increasing disease problems as a risk, with expectations that this crop is closer to 44 bushels than it is 47 bushels per acre, with acreage likely to drop in future reports as well," said Arlan Suderman of Water Street Solutions. Trade estimates for tomorrow's weekly export sales report on beans vary from as little as 200 TMT to over 1 MMT. Sep 15 Soybeans closed at $9.03 1/2, down 9 3/4 cents; Nov 15 Soybeans closed at $8.93 1/2, down 10 3/4 cents; Sep 15 Soybean Meal closed at $324.00, down $0.60; Sep 15 Soybean Oil closed at 27.89, down 43 points and the lowest for a front month since January 2007. Corn: The corn market closed around a cent higher, doing it's best to ignore what was happening to soybeans. The ProFarmer crop tour in Western Iowa found corn yields estimated at 158.9 bu/acre, down sharply from an average of 178.75 bu/acre in the region a year earlier, said Bloomberg. Corn yields in Illinois averaged 169.42 bu/acre, also down significantly on the state’s average yield estimate of 196.96 bu/acre on the tour last year. Dr Cordonnier raised his US corn yield estimate from 164.5 bu/acre to 165.0 bu/acre. The USDA are currently at 168.8 bu/acre. Argentina estimated farmer selling on 2014/15 corn at 67% versus 63% a year ago. The Ukraine Ag Ministry said that August heat and dryness could cut corn yields there by around 10-15% this year. These conditions are also causing premature ripening of the crop, they added. A private crop tour of Ukraine was said to have pegged this year's corn crop at only 21 MMT, which is 6 MMT below where the USDA currently sit. Shanghai JC Intelligence say that the Chinese government are considering cutting the price it pays local corn growers (said to be close to $300/tonne last year), possibly as early as the impending 2015/16 marketing year which begins in October, in an effort to simply stop stock-piling so much of the crop. They are looking at moving away from a fixed price to a market-based pricing system, they say. Local prices could be cut by 20% analysts suggest. The Buenos Aires Grains Exchange estimated the Argentine 2015/16 corn area at 2.72 million ha, down 20% from a year ago. Estimates for tomorrow's weekly export sales report are in the 350-750 TMT area. Sep 15 Corn closed at $3.67 1/4, up 1 cent; Dec 15 Corn closed at $3.78 1/2, up 1 1/4 cents. Wheat: The wheat market closed narrowly mixed. Brazil are tendering for 146,000 MT of wheat, 30,000 MT of Australian, 35,000 MT of Canadian and 81,000 MT of US origin, according to Reuters. Jordan announced a tender for 100,000 MT of optional origin wheat for Nov/Dec shipment. Two South Korean companies tendered for 27,400 MT and 23,900 MT of US wheat for November delivery. Ukraine exported 769,800 MT of wheat in July, 18% more than a year ago and more than double the 5-year average, UkrAgroConsult said. They appear to be taking advantage of Russian exporter reluctance whilst they wait for the government to alter the current export duty on wheat. Russia's wheat exports Jul 1 to Aug 9 were only 1.66 MMT, which is less than half the level of a year ago, according to their Ag Ministry. Russia's 2015 wheat harvest is said to be now past halfway done on 13.7 million ha producing a crop of 43.7 MMT to date. Growers there have now begun winter grain planting for the 2016 harvest, the sowing of which is now said to be 2.6% complete. Russia said it was aiming to buy 2 MMT of domestic grain at intervention between now and the end of the year. Argentina estimated farmer selling on 2014/15 wheat at 92% versus 67% a year ago. Heavy rain there is said to be possibly causing some winter wheat crop losses. The National Australia Bank projected wheat production ther at only 21.6 MMT, which is 4.4 MMT lower than the current USDA forecast. Trade estimates for tomorrow's weekly export sales report are in the 400,000-675,000 MT region. Sep 15 CBOT Wheat closed at $4.96 1/4, up 2 cents; Sep 15 KCBT Wheat closed at $4.74 1/4, down 1 3/4 cents; Sep 15 MGEX Wheat closed at $5.08 1/4, unchanged. 19/08/15 -- EU grains closed mixed, attempting a relatively feeble and half-hearted recovery following the recent rout. Nov 15 London wheat is down almost 13% since the first day of July, whilst the Paris market has fallen 12%. Paris rapeseed is down by almost 9% in this time. Corn has fared a little better on EU production worries, but is still down over 7% in the same period despite these concerns. At the close, Nov 15 London wheat was up GBP0.45/tonne to GBP114.45/tonne, Sep 15 Paris wheat was EUR3.25/tonne easier at EUR170.50/tonne, Nov 15 Paris corn was down EUR1.00/tonne to EUR175.25/tonne, whilst Nov 15 Paris rapeseed slumped EUR6.00/tonne lower to EUR362.75/tonne. Benchmark Nov 15 Chicago soybeans fell below $9/bushel for the first time in the contract's history today, which put rapeseed under pressure despite lower production estimates for it here and around the globe. The German Stats Office said that the country's carryover grain stocks as of Jun 30 were up by a third compared to a year previously at 2.6 MMT, which should help ease the blow of production in 2015 being estimated 11% lower by the farm association DBV yesterday. Russia's harvest rumbles on, and is now said to be 44.7% complete on over 21 million ha, producing a crop of 60.5 MMT to date. Yields are said to be averaging 2.88 MT/ha, which is down 7.4% on a year ago at this time. Wheat accounts for 43.7 MMT of that, the harvesting of which is now past halfway done. Average yields there are down 9.3% at 3.2 MT/ha. As flagged up previously, as the harvest has progressed away from the more productive south, yields are dropping away and dragging the average down. Average yields in the Central region are over 17% lower than a year ago. They are down 12.5% in the Volga region, 13.5% lower in the Urals and 11% below last year in Siberia - although the harvest is only just starting in the latter two areas. Nevertheless, the government are standing by their estimate for a 2015 grain harvest of at least 100 MMT, and maybe more. The Russian Ag Ministry say that wheat exports Jul 1 to Aug 9 were 1.66 MMT, less than half of the volume shipped out in the same period in 2014. Rusagrotrans see a surge coming this month though, they estimate exports at 3.7-4.0 MMT this month, up from the 3.2 MMT previously forecast, although still less than the record 4.5 MMT that was said to have been exported in Aug 2014. In Kazakhstan the harvest is still in it's early stages, only 6.3% complete at almost 1.5 MMT. Yields here are averaging 1.6 MT/ha, which might sound like a disaster to you and me but they were little more than 1 MT/ha this time a year ago. In Ukraine, the Ag Ministry there say that August heat and dryness could knock 10-15% off corn yields this year. The prevailing conditions have also caused premature ripening of the crop, they add. Shanghai JC Intelligence say that the Chinese government are considering cutting the price it pays local corn growers (said to be close to $300/tonne last year), possibly as early as the impending 2015/16 marketing year which begins in October, in an effort to simply stop stock-piling so much of the wretched stuff. They are looking at moving away from a fixed price to a market-based pricing system, they say. Local prices could be cut by 20% analysts suggest. That could also have a negative impact on China's corn and sorghum imports. 18/08/15 -- Soycomplex: Beans closed lower, with Sep 15 posting the lowest close on a front month since early October 2014. "There's a 90% -100% chance of rain today in the Midwest. Strong thunderstorms would gradually lessen tomorrow evening as cooler and drier air filters into the heartland, while showers push east into Ohio, Indiana and Michigan. More rain is predicted Friday-Sunday, ending a brief dry spell. Strong showers would favour Iowa, Minnesota and western Illinois, though coverage would be scattered. One 1 inch of rainfall, but 2 inches locally, is possible in scattered strong thunderstorms. Field moisture may change from ample to excessively wet, if the weekend rainfall becomes very heavy," said Martell Crop Projections. For now, the trade is viewing these conditions as non-threatening for soybeans, although the majority have the idea that US yields won't end up as high as the 46.9 bu/acre currently being predicted by the USDA. On the ProFarmer crop tour in Nebraska, soybean pod counts were seen averaging 1,290 per 3 foot square plot after 13 samples, up from 1,103.3 reported in same area a year earlier, say Bloomberg. In Indiana inspections showed 1,163.97 pods, down from 1,220.79 in the same state a year earlier, they add. Oil World forecast Argentine soybean plantings for next season at 19.75 million ha versus 19.67 million last year. Sep 15 Soybeans closed at $9.13 1/4, down 13 3/4 cents; Nov 15 Soybeans closed at $9.04 1/4, down 12 3/4 cents; Sep 15 Soybean Meal closed at $324.60, down $0.80; Sep 15 Soybean Oil closed at 28.32, down 74 points. Corn: The corn market closed around 3 cents higher, aided by last night's one point drop in good to excellent crop ratings. As with beans, few think that US yields will achieve the 168.8 bu/acre that the USDA are forecasting. Corn yields averaged 150.99 bu/acre, based on 15 samples taken on 3 routes in Indiana, on the second day of the ProFarmer Midwest Crop Tour, said Bloomberg. Nevertheless, corn yields were estimated at 174.9 bu/acre after 12 samples taken on four routes through Nebraska, the third-largest US corn state. A year ago, the tour reported yields of 163.8 bu/acre in the same area. Arlan Suderman at Water Street Solutions sees 2015 US corn yields at 161.5 bushels per acre, based on his company's state-by-state analysis. "Keep in mind that such a yield is just 2% below a 30-year trend yield, which is a trend that I believe has worked the best over the years. It’s amazing to see how many people find a 2% drop difficult to swallow following USDA’s bearish report on August 12 and in light of the exceptional 2014 crop, but that’s human nature. In reality, the drop may be more than 2%," he adds. Also as with beans, the trade doesn't currently perceive Midwest wetness as too much of a threat - "rain makes grain" and all that. Agritel said that Ukraine's 2015 corn production potential is 26.6 MMT, down from 28.45 MMT a year ago. Export potential in 2015/16 is 16.2 MMT, they added. The USDA currently predict Ukraine's corn crop at 27 MMT this year, and have 2015/16 exports at 17.5 MMT versus 19 MMT in 2014/15. Sep 15 Corn closed at $3.66 1/4, up 3 cents; Dec 15 Corn closed at $3.77 1/4, up 2 3/4 cents. Wheat: The wheat market ended around 5-7 cents lower. Bloomberg report that Russia may have exported more wheat in July than official Ministry data shows. Rusagrotrans said that the country may have in fact exported 2.1 MMT versus the 1.3 MMT officially reported. The Russian Ag Min said that the country's 2015 wheat harvest was 49.5% complete on 13.3 million ha producing a crop of 43 MMT to date. The barley harvest is 49.4% complete on 4.4 million ha producing a crop of 10.9 MMT so far. The Russian Ag Ministry says that it will begin purchasing grain for the state intervention fund tomorrow. Ukraine's Ag Min forecast a 2015 grain harvest of 60 MMT, with exports in 2015/16 at a record 36 MMT. The Ukraine Ministry of Economic Development estimated production a little lower at 59.5 MMT. Their 2015 wheat harvest is now finished at 26.82 MMT, say the Ag Ministry. The Kazakh 2015 grain harvest is 6.2% complete on 910k ha, producing a crop of 1.47 MMT to date. El Nino-related heavy rainfall in Argentina is affecting wheat and threatening corn plantings in the Buenos Aires province, as well as in southern Santa Fe, parts of Entre Rios and a few other areas, reported Bloomberg. Germany's farm association, DBV, estimated the 2015 winter wheat harvest there down 2.8 MMT on a year ago at 24.6 MMT, with yields seen 12% lower at 7.6 MT/ha. Harvesting of that crop is ongoing. The German winter barley harvest is over, and is down 3% year-on-year at 9.2 MMT, they added. Sep 15 CBOT Wheat closed at $4.94 1/4, down 6 1/4 cents; Sep 15 KCBT Wheat closed at $4.76, down 6 1/4 cents; Sep 15 MGEX Wheat closed at $5.08 1/4, down 4 3/4 cents. At the close, Nov 15 London wheat was down GBP1.70/tonne to GBP114.00/tonne, Sep 15 Paris wheat was EUR2.00/tonne easier at EUR173.75/tonne, Nov 15 Paris corn was down EUR1.00/tonne to EUR176.25/tonne, whilst Nov 15 Paris rapeseed was EUR2.00/tonne lower at EUR368.75/tonne. Sterling strength was tied to a surprise rise in CPI inflation last month, albeit only from 0% to 0.1%, but even that was enough to foster ideas of a UK base rate rise sooner rather than later. That was enough to send Nov 15 London wheat crashing to a fresh lifetime contract low of GBP113.50/tonne. 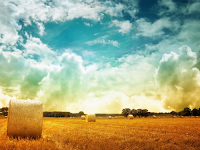 Ukraine said that their early grain harvest is now complete at 36.66 MMT. This time last year they were 98% done with a crop of 34.83 MMT. Ukraine's 2015 wheat harvest came in at 26.82 MMT, with yields averaging 3.94 MT/ha, say the Ag Ministry. Their barley crop has ended up at 8.51 MMT, with yields at 3.05 MT/ha, they add. These figures are in bunker weight by the way. According to the USDA Ukraine's 2014 wheat harvest (in cleaned weight) was 24.75 MMT and their barley crop last year was 9.45 MMT. Their 2015 rapeseed harvest is also complete (that isn't included in the early grain harvest totals). That's come in at 1.73 MMT on an average yield of 2.57 MT/ha, say the Ag Ministry. That's a 21% fall from 2.2 MMT a year ago. Ukraine's Aug 1 grain stocks were reported as 24.5 MMT, up 17% on a year ago, including 17.5 MMT of wheat, 2.7 MMT of barley and 2.0 MMT of corn. Russia meanwhile said that it's 2015 harvest is 43.4% complete on 20.4 million ha, producing a crop of 59 MMT to date with yields averaging 2.90 MT/ha - down from 3.17 MT/ha a year ago. That includes a wheat harvest that's almost at the halfway stage (49.5% complete) producing 43 MMT to date with yields at 3.23 MT/ha, down 9.2% on a year ago. They've also harvested 10.9 MMT of barley off 49.4% of the planted area, with yields averaging 2.49 MT/ha, down 11% versus this time last year. Germany's DBV estimated the 2015 grain harvest there to be down 12% at 46.5 MMT, as spring drought left it's mark, especially on winter wheat. That crop is seen 10% lower than a year ago at 24.6 MMT, despite a 2% rise in planted area. Yields are estimated 12% lower at 7.6 MT/ha. Quality this year is quite variable, they said. The winter barley harvest is over at 9.2 MMT, a 3% decline on a year ago. Spring barley also suffered at the hands of the heat and dryness, that harvest is estimated 5% lower at 2.0 MMT despite a 7% increase in plantings. The crop with the largest year-on-year production decline in Germany is rapeseed. DBV estimate that harvest at 5.0 MMT, down 20% on last year's record, partly due to an 8% decline in planted area due to the new neonicotinoid ban. German ex-farm prices are around EUR145-175/tonne on winter wheat depending on location and quality, with winter barley trading around EUR130-150/tonne, they said. That's not too different to prices in East Anglia in sterling terms, with spot feed barley worth little more than GBP90/tonne and feed wheat just about making three figures. New Lows For London Wheat, Stick Or Twist? 18/08/15 -- EU grains trade mostly lower, with Nov 15 London wheat setting another new lifetime contract low of GBP114.75/tonne before recovering slightly. At noon, Nov 15 London wheat was down GBP0.70/tonne to GBP115.00/tonne, Sep 15 Paris wheat was EUR1.25/tonne lower at EUR174.00/tonne, Nov 15 Paris corn was EUR0.75/tonne easier at EUR176.50/tonne, whilst Nov 15 Paris rapeseed was up EUR0.50/tonne to EUR371.25/tonne. News that UK inflation rose to the dizzy heights of 0.1% in July was all it took to see sterling rally more than a cent against the dollar to a 7-week high of over 1.57 versus the US currency. It's also currently testing 1.42 versus the euro. More importantly, core inflation (which excludes energy, food, alcohol and tobacco) jumped 0.3 percentage points to 1.2% year-on-year, and now lies above its 1999-2007 average of 1.1% (and base rates averaged 4.8% during that time). That's getting the market thinking that a UK interest rate rise might not be too far away. MPC members and BoE governor Carney have long since stated that rising core inflation is one of the key factors behind the timing of the first interest rate rise in years. A sharply higher pound was enough to send London wheat to new lows on the benchmark Nov 15 contract. The next marketing year Nov 16 contract now trades at a GBP12.00/tonne premium to the current front month last night. Does that mean it's a sell? The HGCA said late last week that as the Nov 16 contract has now been trading for over a year, nearly a third of the time available to market the 2016 crop has already elapsed. "Anyone aiming to achieve the market average price would typically target to have sold nearly a third of their anticipated production at this point in the marketing window," they noted. Hands up all of you who've done that? Right, that'll be nobody then. It is worth noting that this is a more than 10% premium - double what is currently available to carry Dec 15 Paris wheat into Dec 16. The premium on offer in Chicago incidentally is currently around 7% to do the same thing. The disparity between the London and Paris carry is particularly interesting, given the widespread conviction that the pound will continue to rise in value versus the euro over the ensuing 12 months, don't you think? Barclays currently have the GBP forecast at 1.47 versus the EUR in Q1 of 2016. Doing nothing and relying on good old fashioned hope isn't really a great marketing strategy is it? Neither is selling at a loss I hear you cry. 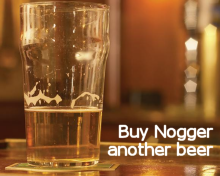 Fair comment of course, but if you could now sell Nov 15 at GBP127/tonne would you? 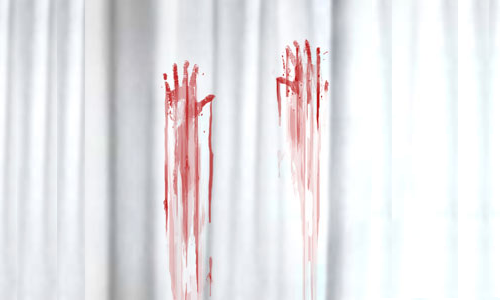 There's a few more hands going up now than when I asked a minute ago. I'm not advocating selling the entire crop here of course, but nothing sold at all does equal 100% exposure. Another option of course is don't plant it rather than fret for the next 12 months that all you are doing is losing money. But then if you don't plant it, and half of those around you do likewise, the stubborn old buggers that have gone ahead and planted regardless will end up making a killing won't they? Bugger! Paris Dec 16 wheat currently trades at the equivalent of GBP132/tonne using the spot GBP/EUR exchange rate. If the pound is 1.47 in 2016 that's around GBP127.50/tonne - virtually the same price as the current Nov 16 London feed wheat contract. At the very least, selling London and buying Paris would seem to potentially offer some reward. 17/08/15 -- Soycomplex: Beans closed with small gains, with the market expecting a one point reduction in US good to excellent crop ratings after the close. They didn't get it, the USDA left G/E ratings unchanged on a week ago at 63%. The worst ratings are in Missouri at only 31% good to excellent. The best are in Minnesota at 80% G/E. They said that 79% of the crop is setting pods, up 10 points on last week and exactly in line with the 5-year average, with 93% of the crop blooming being 2 points behind the norm. Support came from the news that weekly export inspections came in at 375,763 MT, more than double last week's total and the highest since early April. Also friendly was news that the July NOPA crush was 145.2 million bushels, up from 142.4 million in June, and 21% higher than a year previously. A Bloomberg survey saw that only at at an average of 139.5 million bushels. The year-to-date NOPA crush is up 11% year-on-year. The first day of the Pro Farmer crop tour in Ohio found very variable yield potential in soybeans this year. Average pod counts in a 3 foot square plot were said to be 1,098.4, down from 1,342.42 in 2014. Things were a bit better in South Dakota where pod counts of 1,226 versus 1,058 a year earlier were reported. Sep 15 Soybeans closed at $9.27, up 1 3/4 cents; Nov 15 Soybeans closed at $9.17, up 1/2 cent; Sep 15 Soybean Meal closed at $325.40, up $0.20; Sep 15 Soybean Oil closed at 29.06, down 2 points. 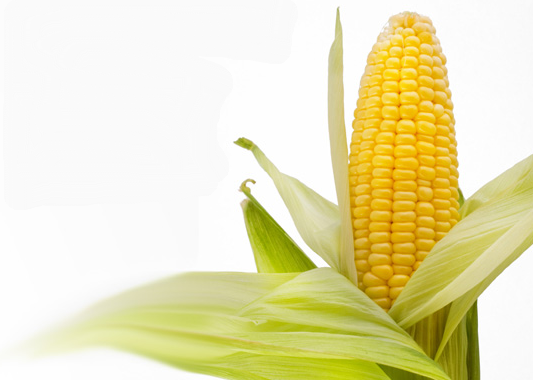 Corn: The market closed slightly lower. As with beans the trade was expecting on average a one point cut in good to excellent crop ratings, unlike last week this time round the USDA concurred, paring back G/E to 69%. The worst ratings are in North Carolina (43% G/E), Ohio (46% G/E) and Indiana (48% G/E). The best conditions are 88% G/E in Minnesota. They said that 71% of the crop is at the dough stage, 5 points ahead of average, and that 21% of the crop is dented versus 28% on average at this time. Weekly export inspections were in line with expectations at 890,083 MT. The ProFarmer crop tour in South Dakota estimated average corn yields there at 154 bu/acre, up from 153 bu/acre a year ago. In Ohio however, corn yields only averaged 152.9 bu/acre, down from the 182.11 bu/acre measured in the same area a year earlier, said Bloomberg. The FSA reported the prevented planting corn area at 2.3 million acres, up from 1.54 million a year ago, but that number probably won't be factored into things until October. Taiwan purchased 23,000 MT of US corn in a tender. 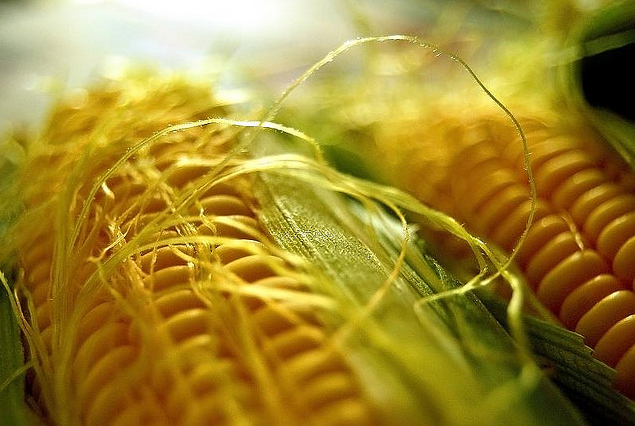 Ukraine said that it had exported 3.77 MMT of grains already this season, of which 1.12 MMT was corn. Russia said that it had exported only 159 TMT of corn so far this season, but it is expecting shipments to pick up once the 2015 harvest begins. Russia is forecasting a record 13.5 MMT corn crop this year. Sep 15 Corn closed at $3.63 1/4, down 3/4 cent; Dec 15 Corn closed at $3.74 1/2, down 1 cent. Wheat: The market closed around 5-7 cents lower. World production potential appears to be getting larger, with IKAR today raising their view on the Russian wheat crop to 61 MMT this year, now beating last season's production. France will now have finished harvesting what is expected to now be a record wheat crop. Ukraine's 2015 wheat crop has also come in above early season expectations. All three are of course aggressive competitors with US wheat on the export front. The USDA reported weekly export inspections of 560,083 MT today, which was pretty decent by recent standards and up by a third on a week ago. Year to date inspections are still down more than 20% from a year ago though. The USDA estimated the 2015 US spring wheat harvest at 53% complete, up from 28% done a week ago and well ahead of only 31% on average at this time. Crop ratings were up one point to 70% good to excellent, which is 2 points ahead of this time last year. Bangladesh tendered for 50,000 MT of wheat for shipment between August and October. India cut their figure for this year's wheat harvest from 90.78 MMT to 88.94 MMT. Ukraine said that they'd exported 1.44 MMT of wheat already this season. Russia said that their wheat shipments so far totalled 1.66 MMT, down sharply from 3.67 MMT a year previously. The current Russian export duty on wheat linked to the value of the weak rouble is probably the reason that exports are down so much. Sep 15 CBOT Wheat closed at $5.00 1/2, down 6 cents; Sep 15 KCBT Wheat closed at $4.82 1/4, down 7 1/2 cents; Sep 15 MGEX Wheat closed at $5.13, down 5 1/2 cents. 17/08/15 -- EU grains traded mixed, but mostly a little lower, in a fairly subdued start to the week. Outside markets are offering little support, with the barometer for global economic health that is NYMEX crude oil trading below $42/barrel on Friday and again this morning - it hasn't languished down there since the dark days of early 2009 that were linked to the post sub-prime fallout. Nov 15 London wheat closed GBP2.15/tonne lower at GBP115.70/tonne, after setting a new lifetime contract low of GBP115.50/tonne. Sep 15 Paris wheat was EUR0.25/tonne lower at EUR175.75/tonne, Nov 15 Paris corn was down EUR1.50/tonne to EUR177.25/tonne and Nov 15 rapeseed was down EUR0.50/tonne to EUR370.75/tonne. Fresh news was scarce to begin the week, but that will change later today when we get the USDA's weekly crop condition and export inspections reports. 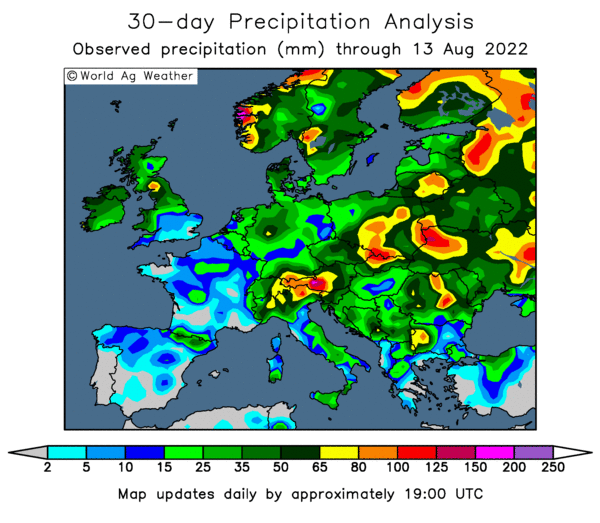 UK growers will welcome a decent weather forecast for most parts, at least through until Thursday, after widespread rain brought the 2015 harvest to a halt on Friday. Ukraine said that they'd exported 3.77 MMT of grains already this season (Jul 1 to Aug 14), with a further 427 TMT loaded onto vessels waiting to sail. The volume exported so far is fairly even split, including 1.44 MMT of wheat, 1.2 MMT of barley and 1.12 MMT of corn. Unlike grains, their rapeseed exports haven't made an impressive start to 2015/16. According to APK Inform the country shipped out less than 90 TMT of rapeseed in July, down sharply from the more than 300 TMT exported in July 2014, and over 215 TMT in July 2013. The top buyer of Ukraine rapeseed in the month was France, taking almost half (47%), followed by the Netherlands on 18%. APK Inform estimate the country's total rapeseed exports to be down 24% this season to 1.5 MMT, after reduced plantings and high levels of winterkill cut 2015 production by 21% to 1.7 MMT. Russia's 2015 grain exports haven't begun at the impressive pace of their neighbours. These are said to be down 46% (Jul 1 to Aug 9) versus the same period in 2014. And at 2.61 MMT are over 30% behind the volume already exported by Ukraine. This total is split 1.66 MMT of wheat, 771 TMT of barley and 159 TMT of corn. Exports are expected to pick up if and when the government revise the way the existing export duty on wheat is calculated. IKAR were today said to have raised their forecast for this year's Russian wheat crop to 61 MMT, which would now outstrip production last year. Bangladesh are in the market tendering for 50 TMT of optional origin wheat for September/October shipment. Tunisia are said to have bought 117 TMT of optional origin milling wheat in a tender for 209 TMT for January/February shipment. Belarus said that they'd harvested almost 8 MMT of grains so far this season, with average yields of 3.89 MT/ha down 0.5 MT/ha on a year ago. 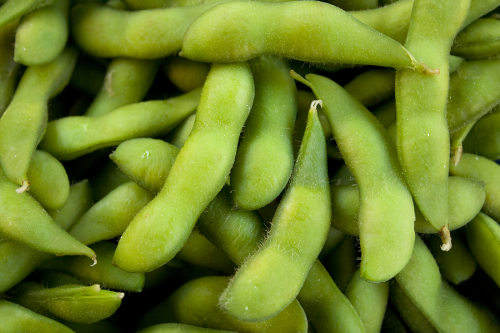 14/08/15 -- Soycomplex: Beans closed lower on the day and for the week. Wednesday's USDA report caught many out who had positioned themselves on the long side ready to cash in on what was expected to be a friendly August WASDE report. It wasn't of course. Anticipated reductions in US 2015 soybean yields, production and ending stocks all proved to be wrong, as all three of those were instead raised. Tonight's commitment of traders report shows that managed money increased their net long position in beans by around 8.5k lots to almost 60k contracts for the week through to Tuesday night, immediately prior to the release of the USDA numbers. Seldom would "following the money" been such a costly and mistaken strategy than has recently proven to be the case. The latest Bloomberg survey into trader/analyst sentiment found only 3 bulls for soybeans, with 11 bears and 8 neutrals. The trade will now be looking to Monday's crop condition ratings. Last week the USDA left crop ratings unchanged from the previous week at 63% good to excellent, with a small one point move from the former into the latter. They had 88% of the crop blooming versus 91% on average and 69% setting pods versus 66% on average. The trade will also be keen to hear reports from the field when the widely followed ProFarmer crop tour kicks off next week. Another one to watch next week is the NOPA crush report due out on Monday. A Bloomberg survey sees that at an average 139.5 million bushels, up 17% on a year ago, although down from 142.5 million in June. Next Friday sees the release of the latest Canadian crop production estimates from StatsCanada, with another Bloomberg survey estimating this year's canola crop there at 13.66 MMT, down 1.9 MMT, or more than 12% down, compared with a year ago. Aug 15 Soybeans went off the board at $9.78 1/2, down 14 1/2 cents; Nov 15 Soybeans closed at $9.16 1/2, down 10 1/2 cents; Aug 15 Soybean Meal expired at $330.90, down $13.20 and Aug 15 Soybean Oil closed at 28.78, down 13 points. At the end of a very choppy week Aug 15 beans shed 30 1/2 cents versus last Friday and Nov 15 lost an impressive 46 3/4 cents, Aug 15 meal was down $21.70 and Aug 15 oil lost 125 points. Corn: The corn market closed around unchanged on the day, but lower for the week, with many also caught on the wrong side of Wednesday's USDA report. Tonight's commitment of traders report has managed money sitting on an expensive net long of in excess of 100k contracts as of Tuesday night, although they will have dumped some of that length on Wednesday. Many analysts are suggesting that US corn conditions might slip a bit in the Monday report. Last week was similar though. The USDA actually left corn crop ratings unchanged at 70% good to excellent, where a one point drop was anticipated according to a Bloomberg survey. Silking was at 96%, in line with normal. They said that 50% of the crop was at the dough stage, one point ahead of normal. The Bloomberg survey into trader sentiment found a few more bulls around for corn though, 6 of them to be precise, lined up against 10 bears and 6 neutrals. The ProFarmer crop tour next week will be closely monitored, to see if the USDA's apparent conviction that US corn yields this year will indeed be the second highest on record is backed up by reports from the field. The trade will also be keeping an eye on the weather, with dry and warm conditions in the forecast until early next week, when cooler conditions are expected to return. South Korea's FLC bought 60,000 MT of optional origin corn for Feb shipment in a tender for 140,000 MT. Argentina's Buenos Aires Grain Exchange said that it's corn harvest was now 91% complete producing a crop of 24.1 MMT to date. They held steady on their forecast for final output this year of 26 MMT. The French corn crop was rated 55% good to very good by FranceAgriMer today, down 3 points on last week and now 30 points less than where it was in mid-June. The crop was rated 86% good to very good this time last year. The French Ag Ministry pegged production there at only 13.5 MMT earlier in the week, down 28% on a year ago. Plantings were down 10% and yields will fall almost 20%, they said. Sep 15 Corn closed at $3.64, up 1/4 cent; Dec 15 Corn closed at $3.75 1/2, up 1/4 cent. For the week Sep 15 corn was down 8 3/4 cents, with Dec 15 falling 8 1/4 cents. Wheat: The wheat market managed to post some gains at the close of play today, but was still lower on the week. Wednesday's USDA report was less of a "shocker" for wheat than it was for corn or beans. Nevertheless, the trade remains concerned about the lack of demand for US wheat. This week's export sales were back in the "routine" category after some pretty buoyant ones the previous week, suggesting that the latter was maybe just a one-off. The Bloomberg trader sentiment survey found even fewer bulls on wheat than there were on soybeans, just 2 of them. There were more bears around than for corn or beans as well, 15 of them, along with 5 neutrals. French wheat seems to have escaped the problems that have beset the corn crop there, with the 2015 harvest just about wrapped up for another year. FranceAgriMer forecast soft wheat production there this year at a record 40.4 MMT, helped by improved yields and a 3% increase in plantings to the largest area since before the second World War. The early pace that the EU has issued both wheat and barley export licences is so far ahead of last year, when exports went on to set new records. This week's export licences were a bit disappointing though, at 349 TMT for soft wheat and only 161 TMT for barley. The trade will be watching to see if that's the start of a trend. The trade will also be keeping an eye on developments in Russia. Their 2015 wheat harvest is approaching halfway done, and yields are now running around 8% lower than they were a year ago. Early yields had been throwing up better results than 12 months ago. Russia's early season export pace has also been well behind where things were a year ago, which seems to be directly linked to the current floating duty on wheat exports. The Russian government are said to be considering ways to alter the way that this is calculated, so that wants monitoring too. Tunisia are tendering in the market for 209 TMT of optional origin milling wheat. Sep 15 CBOT Wheat closed at $5.06 1/2, up 3 1/4 cents; Sep 15 KCBT Wheat closed at $4.89 3/4, up 4 1/2 cents; Sep 15 MGEX Wheat closed at $5.18 1/2, up 1/4 cent. For the week CBOT wheat was 4 cents lower, KCBT lost 3 1/4 cents and MGEX fell 6 1/2 cents. Thought for the day: Maybe one of these hemorrhaging-money-hand-over-fist funds could do worse than sack the so-called managers they've got working for them on massive wages and employ one of the guys being canvassed by Bloomberg instead? They seem to be more clued up than the over-paid numpties that they are currently employing. Back in April when a Bloomberg survey came up with an average French soft wheat production estimate of 38.1 MMT, who was the highest in the ring with 39.5 MMT? Ditto the highest for EU soft wheat production at 142 MMT? Moi! When do I start? I won't be cheap though!